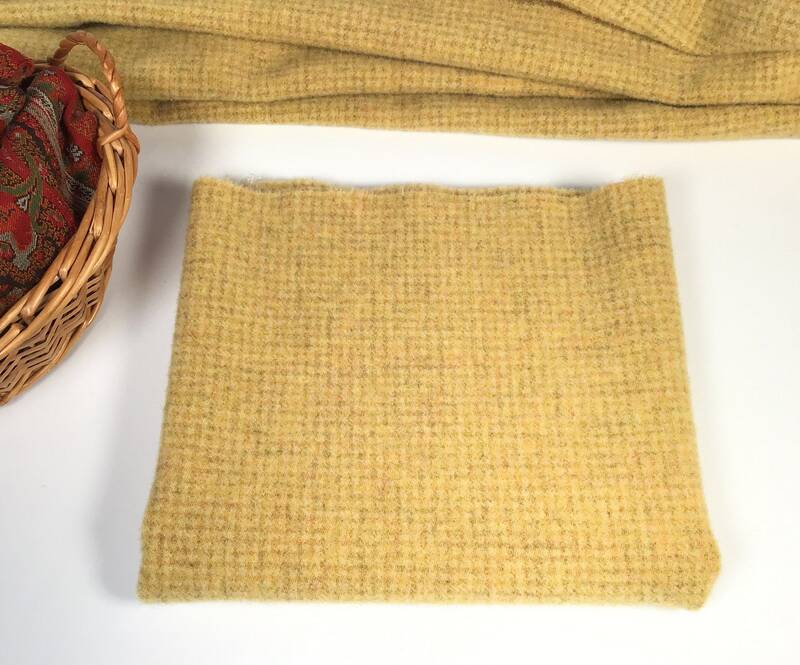 This listing is for Sunflower Check, a lovely mill dyed 100% wool fabric that I have washed and dried with fluffy towels in the dryer. 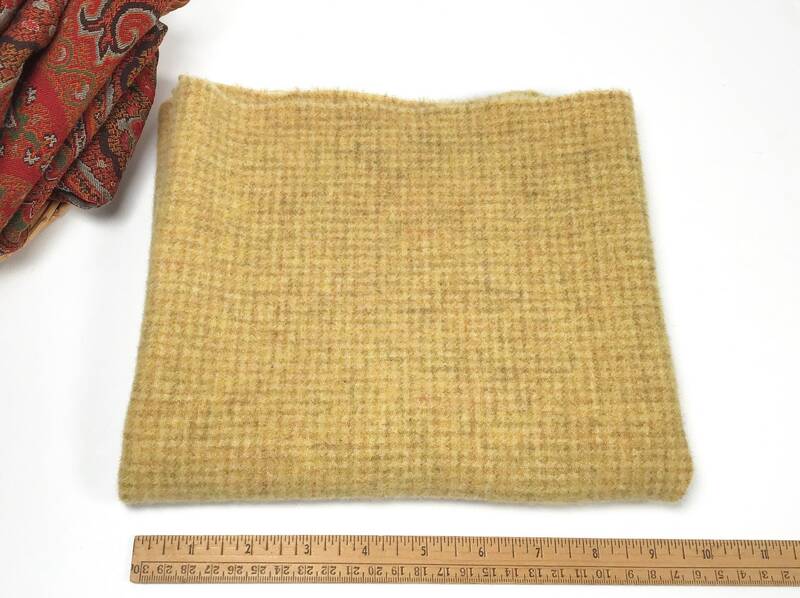 This is a felting (fulling) process that shrinks the wool 10 - 15% making it perfect to use in rug hooking, applique, quilting and sewing projects. 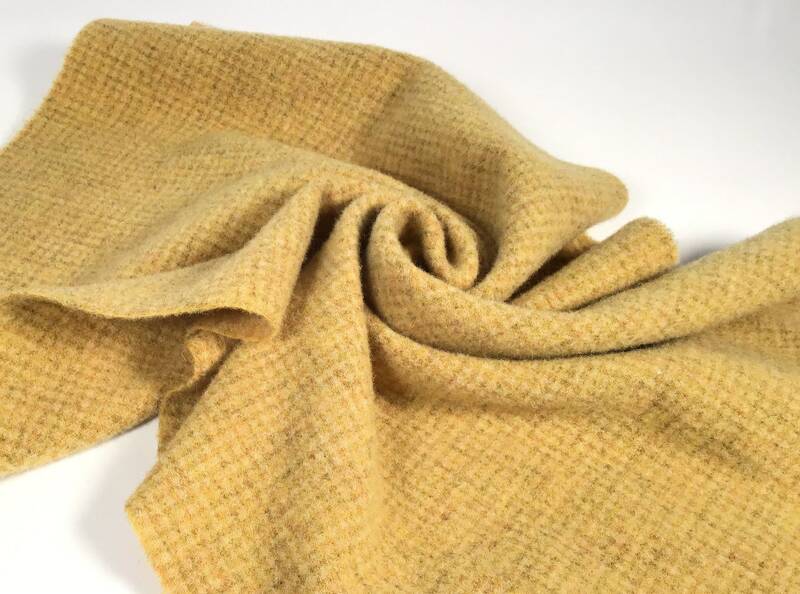 The name says it all...a beautiful golden sunny yellow woven in a tiny check pattern made up of bright and muted yellows. 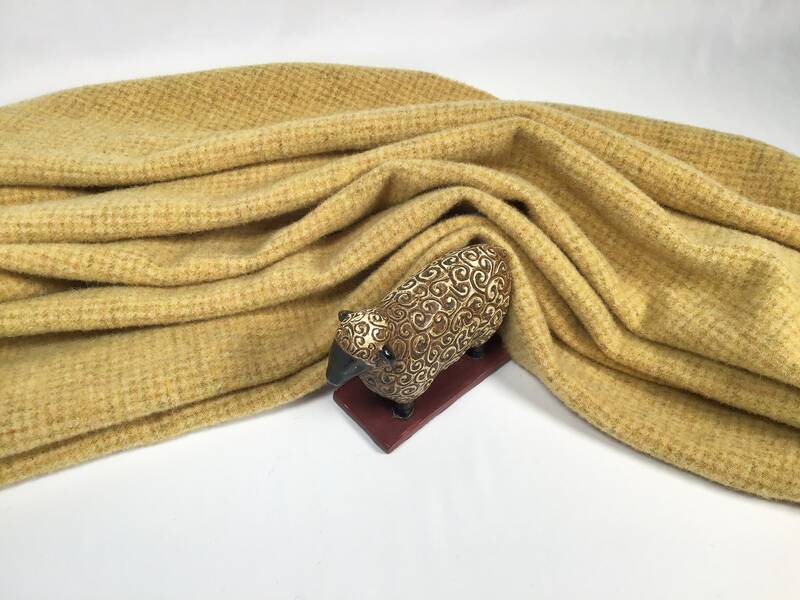 It's the perfect weight for rughooking or applique. It can be cut as narrow as a #7 cut. Use for flowers, chicks, birds, houses and buildings. Great for pictorials, geometrics. It's just a great all around perfect addition to have in your stash. Love this wool! It is a treat to work with. Lovely color. Item was as posted. Easy and kind transaction. Thank you! Pleasantly surprised with this color. Very p;eased with this purchase.